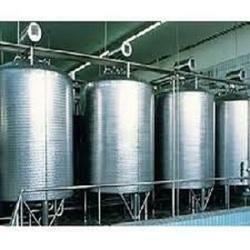 We are one of the leading manufacturers and suppliers of the wide assortment of Industrial Vessels. These easy to install vessels are quality tested at each stage of production by our highly qualified technicians. Besides, our range of products are designed keeping in mind the international industry standards and is available at market leading prices. Fabricated from high grade raw materials, these are known for its high performance, reliability, durability and long service life. 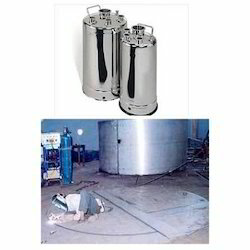 Being a quality conscious company, we are providing best quality and customized assortment of Stainless Steel Pressure Vessel. These vessels are highly acknowledged among the clients for its fine finishing, premium quality and smooth functioning. 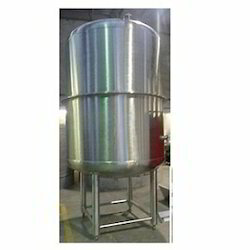 Also, our Stainless Steel Pressure Vessel is mostly used in food, power chemical, pharmaceutical and various other industries. We are a leading manufacturer of Agitated Vessels . 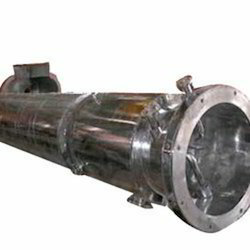 We deals in Industrial Distillation Column . We offer a wide range of qualitative unfired SS Pressure Vessels, which are available up to 100 Kl pressure and 50 kg/cm2 capacity range. 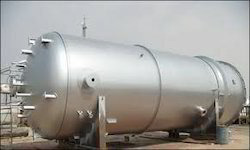 We have firmly positioned ourselves as the most preeminent pressure vessels manufacturer and one of the supreme boiler pressure vessels suppliers in India. Our SS Pressure Vessels are manufactured from the superior quality raw materials under high precision. Utilization of high technology machines in the manufacturing ensures the long lasting excellent performance of these Chemical Vessels. Robust structure, high durability and non abrasive nature are some of their salient features, which make them perfect for varied applications. We provide these Vessels at very moderate prices and within the specified time frame. 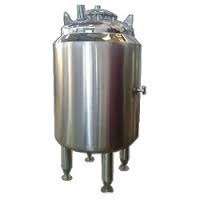 We offer a wide range of Jacketed Vessel .